The fast-paced lifestyles in tandem with easy availability of fast food have altered the food habits of consumers, who now find it convenient to consume ready-to-eat and packaged food products. Processed food and beverage products demand proper preservation using viable techniques and harmless ingredients to remain fresh for long duration of time without getting spoiled. Due to the potential health impact of chemical ingredients used in food preparation and processing, F&B manufacturers are shifting from synthetic or artificial food preservatives to safer, natural food preservatives in their offerings. This paradigm shift is poised to fuel adoption of natural food preservatives, as per Fact.MR study. This trend is further accelerating due to the imposition of stringent regulations by varied governments across the globe against the use of artificial or synthetic food ingredients, which has led to a ban on synthetic or artificial food preservatives in F&B sector. The natural food preservatives market report opines growing regulations on synthetic ingredients as another key driver boosting revenue growth of worldwide natural food preservatives market. “Regardless of improved food properties, artificial ingredients continue to be a concern among consumers. Manufacturers in F&B industry are in a challenging state as they need to cater to the growing demand for natural or no-preservative products, while considering the repercussions of alleviating additives and preservatives, which can increase the product spoilage rate and decrease shelf life. This is propelling them to adopt natural food preservatives to maintain position in the market and expand customer outreach”, finds Fact.MR. 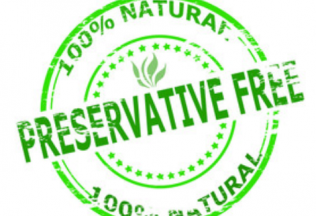 Fact.MR report on natural food preservatives market opines that considerable market penetration is driving the introduction of novel products composed of easily available natural food preservatives. The leading players in natural food preservatives market are responding to such opportunities by extending their offerings and introducing novel products, which is further fuelling the stake of natural food preservatives across the globe. As per natural food preservatives market report, the high nutritional value of natural food preservatives is also fuelling the global sales of natural food preservatives. Additionally, the rise in product development in tandem with advancing research are other main factors expected to drive growth in natural food preservatives market. While using natural food preservatives in F&B products is beneficial for health, cost has been identified to be a key restraint hindering the growth in natural food preservatives market. The high costing of natural food preservatives in comparison to their synthetic counterparts, continue to make it challenging for the manufacturers to gain the attention of a wider consumer base. Natural food preservatives sourced from organic sources, such as vegetables, fruits, and certain kinds of plants are priced as per the availability of raw materials. The report on natural food preservatives market opines that the fluctuating prices of natural food preservatives’ ingredients are impacting the operational efficiencies in the natural food preservatives market. As per the report, the emergence of novel and highly innovative food preservation technologies are likely to render traditional preservation techniques obsolete during the forecast period. The leading companies in natural food preservatives market are getting involved in several expansion and growth strategies to gain a competitive advantage. They are also following value chain integration with business operations in different stages of the value chain. As a result of the rapidly changing trends and manufacturing tactics, the natural food preservatives market is expected to witness tremendous changes during the forecast period. According to Fact.MR report on natural food preservatives market, the growth trajectory of natural food preservatives market is envisaged to witness 5.1% CAGR between 2018 and 2028.